Iranian media, the mouthpiece of clerics, depending on one’s mood, can be comic or tragic, hardly ever informative. December 10, 2013 was a run of the mill day. No big headlines, no satanic power to call impure dog, or slap its face. Such days are useful to see how domestic forces buzz about in power politics. One piece of news concerned the Supreme Dictator’s lecture to the Cultural Committee members. Here goes a flowery quote from the article:“His Holiness, Ayatollah Khamenei, compared the guidance and supervision on cultural matters, as the gardener’s care for beautiful flowers. He said: weeding would let the flowers to thrive and to use water, light and air naturally.” [sic]. Surely, the guidance of his holiness toward more censorship and propaganda will be implemented in no time by Rouhani’s soft power. Naturally, imprisoned critics in Evin and Kahrizak would appreciate. Those executed are already weeded out and will not thrive. Further pieces of news concerned the next year’s budget, and the Pasdaran’s military achievements. Two different realms. In the succeeding Iranian government’s practice, budgets and previsions are loose sketches; their implementation is left to a rosary of Inshallah. At this time of the year, two digits increases (today’s figure: 17%) in spending for the retired, education, health …etc. are promised. Good enough for a population that believes in Mehdi and all its hope is in Geneva’s slim joint agreement. The figure is half the inflation’s rough and conservative estimation. Next year, far too many will be holding an empty bag, as they did in the previous years. 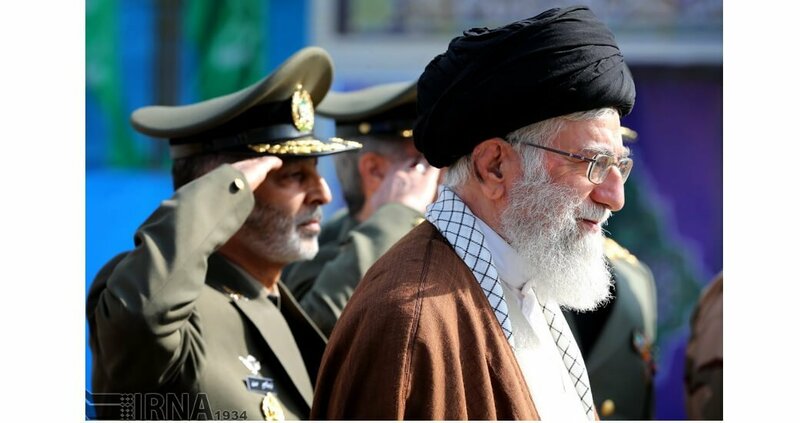 Military, Pasdaran and Bassidjis, and ayatollahs’ expenses are not part of a public financial planning. There is no need; as masters of Iran’s revenues, they spend dollars and Euros as they please. Some breadcrumbs would go round. If any, a positive outcome in financial matters from P5+1 Geneva joint agreement on nuclear, shall butter their bread first. Iran’s Power has the two faces of Janus. The real one, the picture on the left, is for domestic consumption and to remind the people who is the boss. The other, the soft-power on the right, is used to fill international media with flower, smiles and a “Yes we can”. What is it that you can, Mr. President? Change Ahmadineja’d gladioli bouquets to lily and gerbera? Let’s stay in his holiness, the supreme dictator’s flowery metaphor. 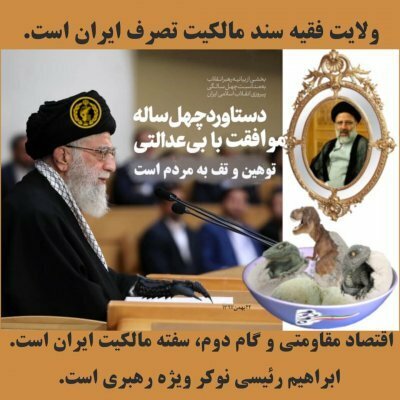 Never, ever a carnivore plant such as Velayat-e Faqih will produce a sweet apple. Undoubtedly, the last piece of news story would attract foreign investments to Iran. Mice (not to speak of rats) are invading Teheran’s streets. According to an official from Teheran’s municipality, each mouse (not to speak of rat) costs rials 1’200’000 (30 Euros, as on December 10, 2013) to eliminate. Mice (not to speak of rats) eradication seems to be a juicy business in Tehran. The link to this story was removed from ISNA.ir site web, on December, 11th 2013.